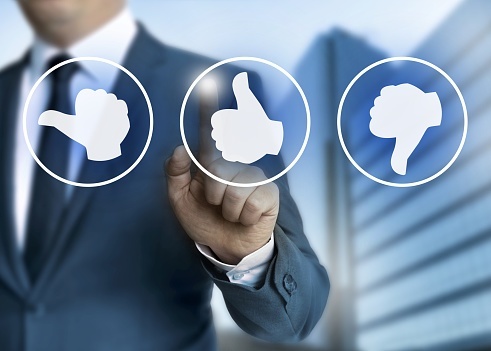 When it comes to gathering attendee feedback, surveys are the go to for event planners. Although surveys may seem like the most conventional option, they are vital to retaining valuable information for future event success. It is important that they capture your audience's attention and are built so that a large number of your attendees actually complete them. Rewards and other incentives can be used to motivate survey completion, but it is important to remember that the content and ease of use are equally important drivers to have attendees get to the finish line. Each survey must be timely, brief and simple. If a survey is too complex and full of errors, attendees won’t bother completing it and you will miss out on the valuable opportunity to get accurate data to improve your event in the future. Ask yourself the following when creating and executing your event surveys. Have you established clear goals beforehand? There are obvious questions you’ll want to include in your event surveys (i.e. related to attendee satisfaction), but it is important to identify definitive goals across your organization before diving into more specific topics. Consider these questions: What do you want to take away from your survey data exactly? Do you want to better understand attendee demographics, behavior or motivation? Are there new features or technologies incorporated into your event that you want to get feedback on? Were the pricey new food and beverage options well received and worth the extra cost? Creating and understanding clear goals for your event surveys can help when mapping out the perfect questions to ask. Are the right questions being asked to the right people? Because event surveys need to be as brief and efficient as possible, don’t take up valuable page real estate with unnecessary questions that don’t matter to certain attendees. With that in mind, consider a few variations of one survey concept. Different roles (attendees, speakers, sponsors, etc.) have different experiences at your event, which is why it is important that the surveys accurately represent these various perspectives. Not only will these individual groups feel like you care about their specific needs, but you can use it as an opportunity to learn more about your event in as many areas as you can. Is mobile technology being utilized? As surveys are usually optional, making them mobile friendly is key to making them convenient for attendees. Test out different mobile devices to ensure the survey works on all platforms. Create mandatory and important questions in a multiple choice or number scale format due to the fact that typing on a tablet or smart phone can be difficult. It can be easy to forget that design features such as fonts, imagery, and scrolling can make or break the mobile experience. Make mobile surveys even more accessible by putting them directly into your event app, which will also typically increase their ease of use compared to opening them up in a mobile web browser. To learn more about creating successful event surveys, download our event survey cheat sheet. Brendan is an Aventri intern and a student at Miami University.